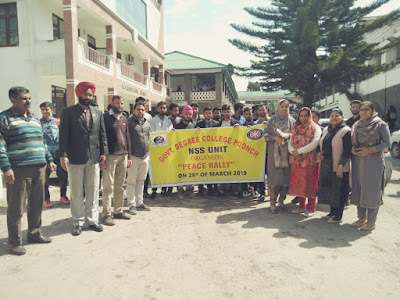 Poonch: A peace rally followed by a seminar on the theme "Need of Moral Education In The Present Era" was organised today on March 28, 2019 in the Government Degree College (GDC) Poonch. The events were organised in the wake of rising incidence of violence across the globe, by the NSS Unit of GDC Poonch. 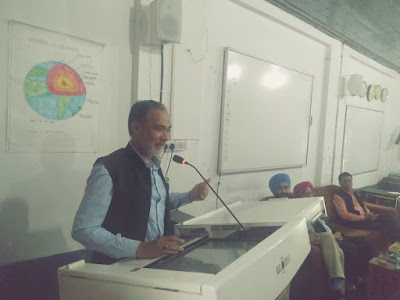 The seminar wherein more than 10 students presented their views regarding the topic, was organised by NSS along with the Students Union of Government Degree College (GDC) Poonch. Jameel Ahmed bagged first prize whereas Bilqees Khanam bagged second position. Kanwalpreet and Sonali Sharma manged to get third position and consolation prize, respectively.